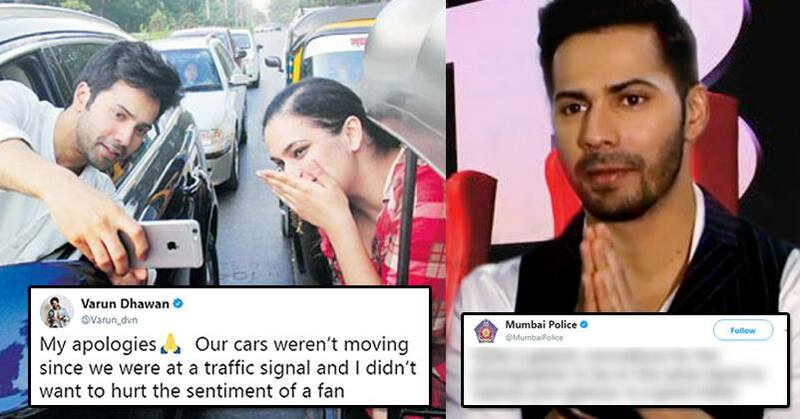 see what mumbai police says to Varun. 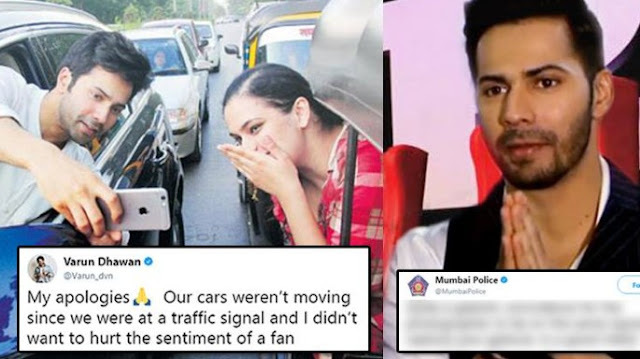 "@Varun_dvn These adventures surely work on D silver screen but certainly not on the roads of Mumbai! U have risked ur life,ur admirer’s & few others. V expect better from a responsible Mumbaikar & youth icon like U! An E-Challan is on d way 2 ur home. Next time, V will B harsher "
See what Varun has said. "My apologies Our cars weren’t moving since we were at a traffic signal and I didn’t want to hurt the sentiment of a fan but next time I’ll keep safety in mind and won’t encourage this." " Quite a galactic coincidence for the photographer to be on the same signal to capture your gesture, in a good intent nevertheless risky. Leaning out even in a stationary vehicle can be distracting for others considering your popularity. Glad you took our message in d right spirit"